Hilton and subsequently Marriott made changes to their cancellation policies in the summer 2017. They moved from free cancelation 24 hours before the day of arrival to 48 hours prior to arrival. 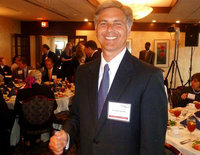 InterContinental Hotels Group (IHG) and the Hyatt followed suit. IHG did not have a cancelation policy, but seized the opportunity to institute one shortly after Marriott's and Hilton's moves. However, IHG remained competitive still by embracing Marriott's and Hilton's previous, somewhat less aggressive free cancelation policy (free until 24 hours before arrival). Hyatt's policy is at least as aggressive as Marriott's and Hilton's: 40% of their full service hotels in the Americas have already moved to 48 hours cancelation policies. What's more, over 60 of those hotels already have cancelation policies in excess of 48 hours. Up to and including 2014 customers could cancel their reservations at Marriott and Hilton for free until 4:00 or 6:00 pm on the day of arrival. But they changed that on January 1, 2015, when they started to copy airlines by adopting more aggressive cancelation policies. And it does not stop there. 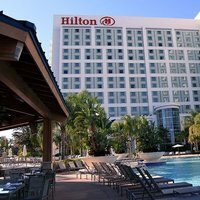 Hilton already implemented a 72-hour cancelation policy in approximately 20 markets in the USA. In fact, Marriott is also testing the market to find out whether aggressive 72-hour cancellation policies are feasible. The reason they cite for their more aggressive policies is that many customers do multiple bookings and that, as a result, cancelations have skyrocketed in some markets. Hilton CEO Christopher Nassetta already hinted on the possibility of a further extension to 7 days before arrival by creating fully flexible pricing structures and semi-flexible pricing structures, according to Skift. Again, they copy what the airlines already do for years. As usual, the Hilton CEO is trying to sell a worsening of the terms and conditions as something that is good for the customers because they "probably" can get a "little bit" better deal. He admits that it is much better for Hilton because they can manage their close-in inventory better to make sure that they price rooms right and do not leave rooms unoccupied. Economists call this approach simply profit maximization. And that is not good for customers, only for the hotel chains. Related: "Should you avoid Hilton and Marriott from 2015?"